Address: C308,Tianhui building,Yousong Road, Longhua District,Shenzhen, China. The glass will be packed in strong totally-enclosed wooden crates, no glass can be seen. Stair stringers also will be protected in wooden crates. Cartons are used to pack steel parts. Some long tubes or rods are wrapped by woven bags. 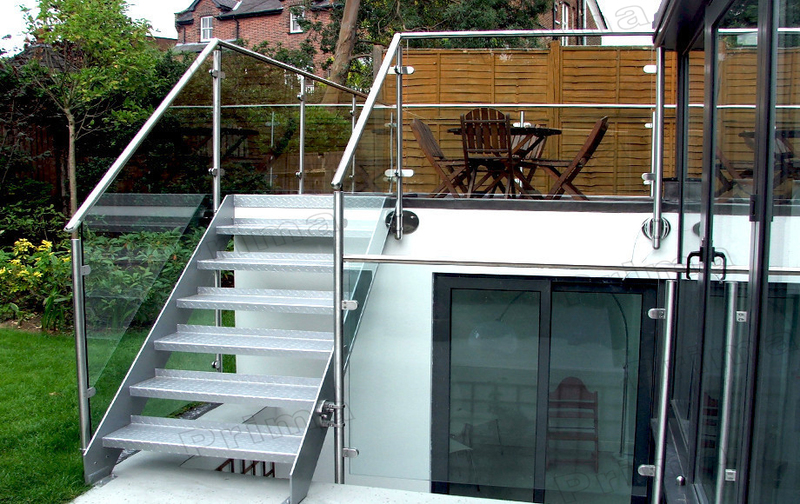 Semi-frameless glass balustrade/fencing can be used for balcony handrail balcony balustrade stair ,handrail and swimming pool balustrade/fencing. Dear customers and friends we are promise you all of our sus 304 the nickle content can be reach more than 8% and sus 316 materials can me reach mor than 10% . 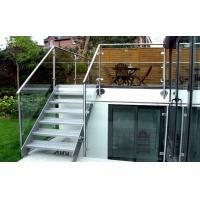 And all of our glass have got the AS/NZS 2208 approved , CE , IS09001 approved . We have our own experienced design team and projects service team , so we well known your Building Code , You only need send us your PROJECTS DRAWINGS or let us know your NEED DETAILS then we will provide you our solution for your projects . Our company is aOne Stop Building Materials Supplier from China, in the past years , we have done many well projects , like in the America , Australia , Africa , Europe New Caledonia etc . We have a wide products range including the : Staircase, Balustrade , Winow & Doors , Cabinet , Showers Toilets , Flooring etc . You only need send us your projects drawings then we will make our solution for your . With 8 years projects experience ,exporting to more than 52 countries, PRIMA CONSTRUCTION MATERIALS produces complete range of stairs,railings/balustrades/handrails, accessories etc. Products could be customized according to clients' requirements .PRIMA always uphold the "integrity of attitude, advanced technology, competitive price,good services", which enables Demose to receive many customers long-term supports. (1)Saving your money , half price then your local market . (2)Saving your time , got all of the materials from one supplier . (3)Customized based on your projects , free design . (5)Mix container , door to door service. a) Pls tell us which product you like. b) Pls tell us how many meters of balustrade you need. c) If you have any special requirements, pls also tell us. Generally, we design as per Australian Building Codes, or European Standards, but we can also design as per customer’s requirements. To save your time and cost, all of our products are designed to be installed by screws, NO NEED WELDING. For the convenience of installation, we will provide detailed drawing and photos for guidance. We also will give labels to each tiny fitting. There you only need do the following 4 steps , then we can do A to Z for your dreaming house .